Canary Islands, Spain. I need a beach right about now! 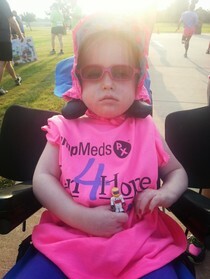 The Run4Hope benefit for Harper filled me with hope for us all. Harper is a beautiful 3 year old girl who endures multiple seizures daily, up to 15 a day. Her condition, known as CDKL5, is a rare disorder with only 500 known cases worldwide. These seizures are like an electrical storm to her brain and she requires constant care. How do you pronounce 'Louisville'?! Let me tell you all about Louisville, Kentucky! Well, maybe not all…let’s just cover three very interesting places to visit the next time you roll into town. As part of my travels around the world, Louisville just happened to be one of the first after my adoption in Dallas. Talk about setting the bar high, this city is fascinating and worth multiple visits! The Matilija poppy, or Romneya, is native to southern California and northern Mexico. Beautiful! Five days after my adoption in Dallas, I was introduced to the world of live music, and I was hooked! Local Dallas-area performer Sarah Jaffe at The Kessler for New Years Eve was fantastic. (Watch her HERE) But 1,000 people in an intimate venue did little to prepare me for Bonnaroo. ‘Friends of Klaven’ Joe and Crista Maul were happy to introduce me to the mayhem! Goodbye ED! ED is NOT a friend of mine! ED is not a friend of mine! ED stands for ‘Eating Disorder’, and the founders of a new non-profit are aiming to say goodbye to ED for good! ‘Goodbye ED‘ was created by Denyse Deegan, co-owner of Crowley’s Downtown Grill & Bar in St. Petersburg, Florida. Her 14-year-old daughter Joelle recently began struggling with an eating disorder. DID YOU KNOW, MORE PEOPLE HAVE CLIMBED MOUNT EVEREST THAN HAVE RUN ACROSS AMERICA!? Exciting news! Noah Coughlan, who is running from coast-to-coast (for the 2nd time!) to raise $$ and awareness for Batten Disease Support & Research, will be taking me with him! The day/time and place is yet to be determined, so stay tuned!! In 2011, Noah Coughlan became 222nd individual to accomplish the feat of crossing America on foot. In 2013, he runs again, attempting to become only the 27th person ever to run across America twice. This time he runs solo and unassisted with no support crew. Why? It is vitally important to exhaust every resource, to explore every avenue to help find a cure for Batten Disease. Batten is a very rare genetic neurological degenerative brain disease which strikes infants and children. There is no known cure….yet. But there is HOPE. We love HOPE! Do you recognize this U.S. Senator and former mayor of Newark, NJ? Some of you may recall that I have visited with the founder of NYM Debby Vinokur-Kaminsky. Well, she had a special visitor today in Newark mayor Corey Booker! Dennis is an addict. Many of the homeless in the Nashville area are addicts of one kind or another. Most of the rest are suffering from medical or mental issues, unemployment or under-employment, divorce and other family issues. The sights and sounds of the ‘Home of Country Music’ distract from the plight of people like Dennis. Along Broadway in downtown Nashville, they wander up and down the street with the tourists like me. American Painting Now at W.A.A.S. Gallery in Dallas! Jose Perez and I Rocked Mount Fuji Japan! ‘Friend of Klaven’ Jose Perez knows how to get a crowd bouncing to a beat! Last July, he took that talent to Japan for the largest outdoor music event in the country, the Fuji Rock Festival. 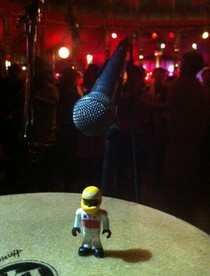 Luckily for me, I was able to tag along as an unofficial roadie. The experience was unforgettable! My First Wedding. In Kyrgyzstan. Krazy! A wedding I’ll always remember! Who can say that the first wedding they ever attended was in Bishkek, Kyrgyzstan! I can. KRAZY!! It was a great experience in a country I have grown to love, and with friends that I now consider family. Congratulations Chris and Saltanat! Art Thrives at ArtPrize in Michigan, a 19-day ‘radically open’ art competition with a $200,00 top prize! Toys as Art and a Cause? Count me in! Vinyl Thoughts Art Show 4 was held in Dallas on September 12th, and I was super-excited to go with ‘Friend of Klaven’ Kelly Jacobi and her man. Being a toy myself, I was very curious about ‘The Premiere Custom Vinyl Toy Show in the South’. I was excited and hopeful that the stars of the show would welcome me to their event! Tim and Klaven Invade the Pitch at Goodison!